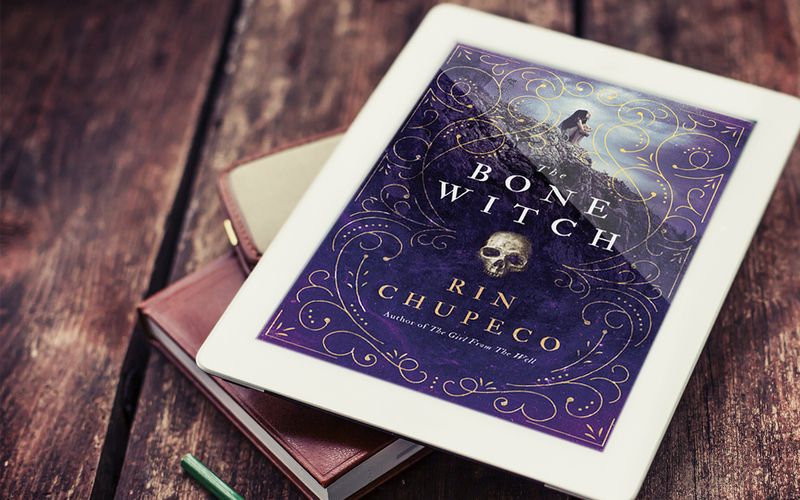 The Bone Witch extract – When Tea accidentally resurrects her brother from the dead, she learns she is different from the other witches in her family. Her gift for necromancy means that she’s a bone witch, a title that makes her feared and ostracised by her community. But Tea finds solace and guidance with an older, wiser bone witch, who takes Tea and her brother to another land for training. I mean why wouldn’t you want to read it after that! I did have some initial reservations. I have an awful habit of checking Goodreads reviews before picking up a book and this one had a mixed bag. Most of the negatives revolved around the amount of descriptive detail. This wasn’t my impression however. I think with any fantasy novel you NEED a certain level of detail. Without it how is the author supposed to get across enough information for the reader to fully understand the world that’s being created. The book reminded me strongly of Memoirs of a Geisha, a favourite book of mine, which I read as a teenager. Although Chupeco has crafted her own fantastically detailed fantasy world, it relies heavily on Geisha and Maiko rules and culture, which rather than being a negative, really helps the reader understand more about the characters and storyline. The story is told via two POV’s which I absolutely loved. Firstly in the present by a bard, which is how the books starts, and how each chapter is introduced, and secondly in the past by Tea herself, which is where a majority of the book is played out. I really enjoyed the “present” sections, as they often left you intrigued and wanting to read more of the “past” in the next chapter to figure out what present day Tea did to end up in her current predicament. I also loved that despite the detailed descriptions, a majority of the present day plot remains unexplained and the two timelines are yet to meet. It kept me guessing and the fact that I still don’t fully understand what happened to Tea means I want to read more. I did however have two slight problems with the book. Firstly was the “lull”. The beginning of the book is very fast paced, and I loved that, but towards the middle, it did lose it’s way a little. Story progression stayed still and didn’t move for a while which I found frustrating. My second issue is with Fox, the aforementioned “resurrected brother”. Throughout the story I was expecting some sort of plot arch that really made his appearance in the book worthwhile, and yes, without giving spoilers, there is a kind of point to him, just not enough of a point for me not to wonder why on earth the author has bothered to include him in the first place. Who knows maybe the sequel will see Fox come into his own. Talking of sequels, I’m really looking forward to seeing how the story pans out, as it really was a fun and enjoyable read. Predictably the story ended in the present on rather a large cliffhanger and I cannot wait to see what happens next. When and where can you buy it! This sounds so interesting, I’m definitely going to give it a read! I have thought of reading this, No idea when but I will. I was thinking of read it as an e-book, but the cover is so nice that I wish to purchase the book in the future. This does have a gorgeous cover! Seems like a gripping read! You wrote a great review! So what did you think of The Heart Forger? I can’t wait for the third to come out! Also, great posts about Shanghai Disneyland. I lived in Shangers for 4 years up until June 2018 and your advice was spot on for visiting the parks.